An essential reference for scholars and others whose work brings them into contact with managing, policing and regulating online behaviour, the Handbook of Internet Crime emerges at a time of rapid social and technological change. Amidst much debate about the dangers presented by the Internet and intensive negotiation over its legitimate uses and regulation, this is the most comprehensive and ambitious book on cybercrime to date. 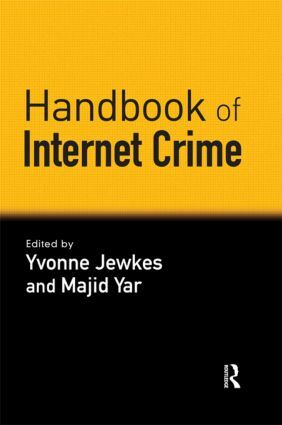 The Handbook of Internet Crime gathers together the leading scholars in the field to explore issues and debates surrounding internet-related crime, deviance, policing, law and regulation in the 21st century. The Handbook reflects the range and depth of cybercrime research and scholarship, combining contributions from many of those who have established and developed cyber research over the past 25 years and who continue to shape it in its current phase, with more recent entrants to the field who are building on this tradition and breaking new ground. Contributions reflect both the global nature of cybercrime problems, and the international span of scholarship addressing its challenges.